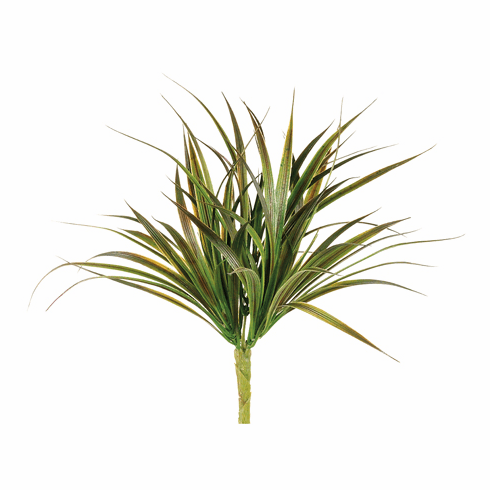 This is the smaller version of our 12 inch artificial yucca grass bush. With a total height of 10 inches it features green foliage with a touch of burgundy and brown tones for a realistic look. There are five smaller stems coming off of one main stem sprouting the grass blades. These are great all by themselves or just to add to an arrangement for filler. Either way your guests will think they're real.